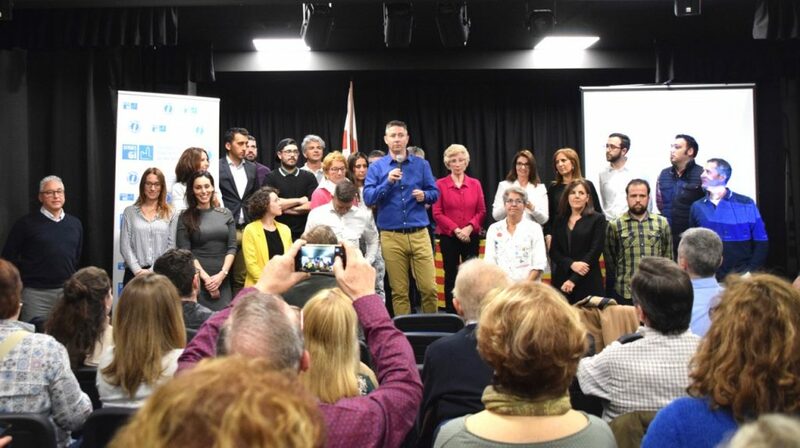 Sitges GI presented the team formed by 26 people, who will accompany the candidate for Mayor, David Martinez on the list for the upcoming local elections on the 26 of May 2019. A list that according to Martinez is formed by a group of people with different sensibilities, transversal and multicultural, Features that make them stronger and what distinguishes them from others. The list was presented in a ceremony in a completely growded hall named Jofre Vilà at Casino Prado Suburense, where the group presented the four main areas of work: 'For a Quality Sitges', 'For the welfare of inhabitants of Sitges', 'For a Future Economic Model’ and 'For a Sustainable Sitges'. This was the roof that covers all the issues that worried all people of Sitges’ it also included all the proposals that came from residents of the town. The new image of the group was also presented with a fresher and modern look and with a new website that can be consulted in Catalan, Spanish, English and French. But one of the most emotional moments of the event, was the tribute made by the whole team of Sitges GI to Vinyet Lluís, who left politics after 40 years of dedication.